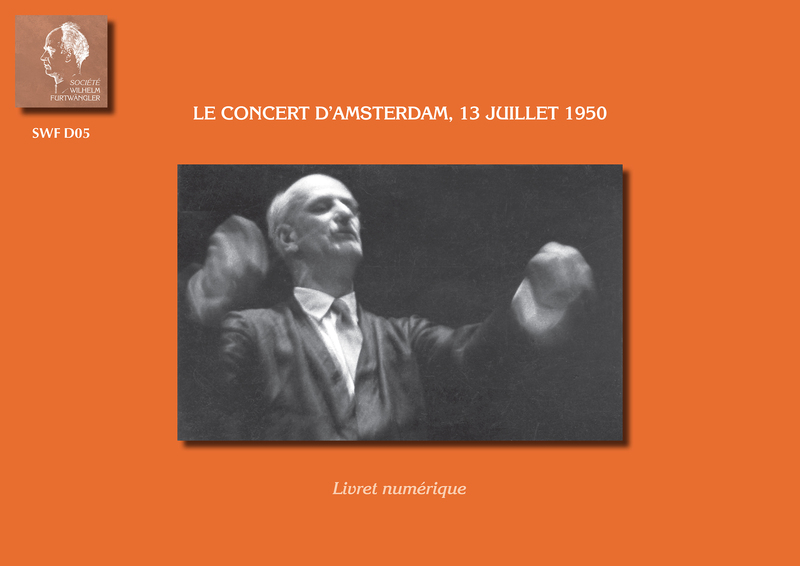 Société Wilhelm Furtwängler (SWF - The Wilhelm Furtwängler Society, France) has devoted itself since 1969 to raise awareness about how great a musician Wilhelm Furtwängler was, through the private publication of recordings, the publication of studies and brochures, the organization of conferences and concerts. Our association has become inescapable for whoever has an interest in Furtwängler, not only as a conductor, but also as a composer, writer or more simply as a man of his times. The new SWF website aims at reflecting this commitment with the diversity of its productions, and the breadth and completeness of its content, making it — hopefully — a research tool of choice. The low SWF subscription rate should allow everybody to have access to and benefit from many a treasure.